NASA forecasts that Planet Earth could possibly get hit by a skyscraper-sized asteroid named Bennu, resulting in the creation of a five-mile-wide crater. The Comet Research Group is looking for funding support to accurately assess the effects of such impacts, and provide information that may help avert similar situations in the near future. It is extremely disturbing to know that Earth is directly in the path of about 500,000 asteroids and comets. Unfortunately, NASA and other space agencies don’t know the location of 498,000 of them! Yet, these killer comets are capable of causing explosions far worse than the world’s largest atomic bombs. Chelyabinsk, a small city in Russia, experienced such as incident in 2013 that seriously injured around fifteen hundred people. NASA warns that an asteroid named Bennu may hit Earth within a few decades. If so, the impact would be powerful enough to destroy any one of the world’s largest cities. Provide governments with the necessary information to stop future comets from hitting Earth. One of the upcoming projects from the Comet Research Group is the “Sunken Crater Expedition.” This is an initiative to explore a recently discovered offshore crater in the Gulf of St. Lawrence, just south of Quebec, Canada. According to some scientists, this crater was created 12,800 years ago by a massive comet swarm that pushed millions of mammoths into extinction. To figure out what actually happened at the site, the Comet Research Group plans to collect melted rocks, including tiny diamonds. The Comet Research Group has just launched an Indiegogo campaign to raise $139,500. All funds received from Indiegogo will be spent directly on research, including expenses for travel and for the laboratory research on the samples. In addition to the “Sunken Crater Expedition,” proceeds from the campaign will also support the Comet Research Group’s “Diamonds on Ice Expedition” to Greenland, “Fire from the Sky Expedition” to the Middle East, and the “Burned Badlands Expedition” to North Dakota. About the Comet Research Group: this is a non-profit corporation that collaborates with 63 scientists from 55 universities in 16 countries. 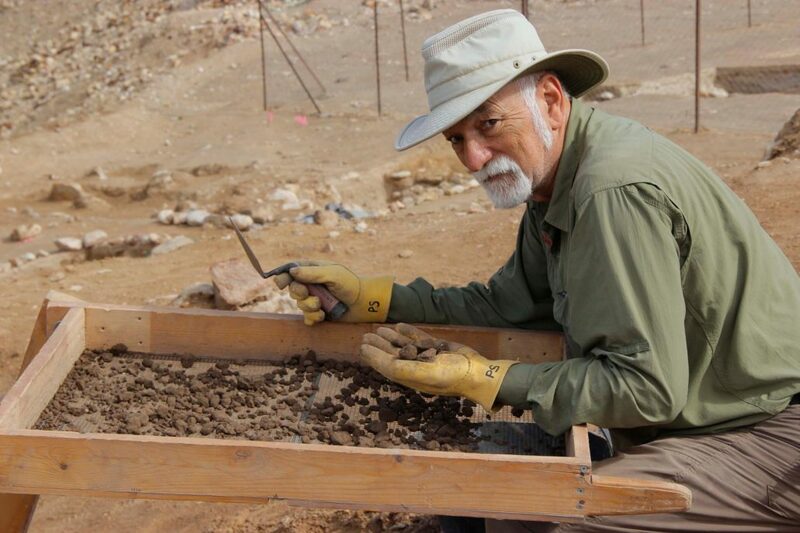 Their discoveries have been featured on the History Channel, National Geographic Channel, Discovery Channel, PBS’s NOVA, and more than a dozen other TV programs. Their mission is to accurately assess the effects of comet impacts on human history, to educate the international public about these effects, and, ultimately, to provide world governments with the information they need to stop comets from hitting Earth in the future. The Comet Research Group is pleased to announce the launch of our 2016 coloring contest, which will coincide with our upcoming Indiegogo campaign. Visit cometresearchgroup.com/coloring-contest to download our coloring sheet featuring the “Attack of the Killer Comet”, and for instructions on how to enter. 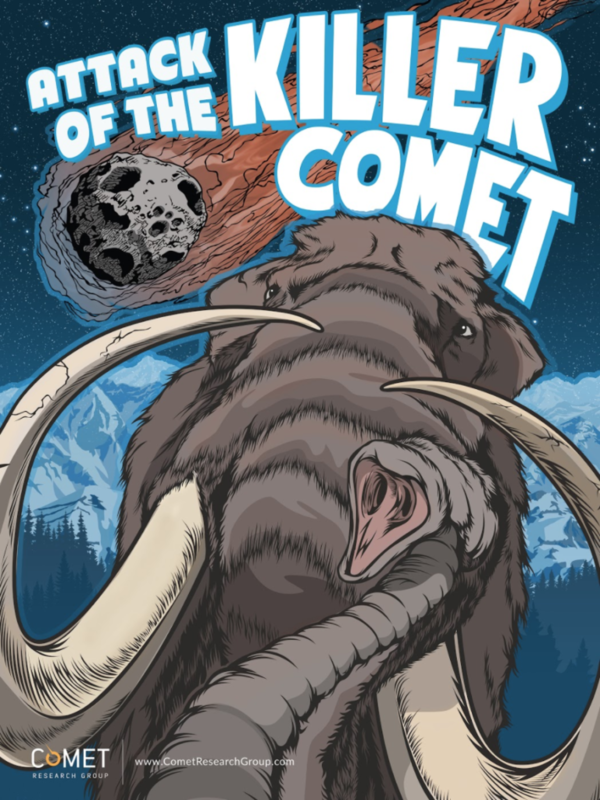 Or, you can draw and color your own killer comet-themed entry. Children and adults alike are invited to participate. The contest will run through the end of November. The Comet Research Group (CRG) has evolved quite a lot over the last two decades, from our early days as an informal collaboration between scientists to our role today as part of an official non-profit and a global leader in comet impact study. Leagues of scientists, volunteers, and donors gave of their personal time and treasure to help us get here, and to all of them we say, “thank you, thank you, thank you!”. We would not and could not have done it without you. This fall, CRG will evolve once more, as we launch our first-ever crowdfunding campaign to underwrite The Sunken Crater Expedition slated for early next year. This campaign will also seed support for two additional expeditions in the second half of 2017. To prepare for this campaign and to facilitate our mission more broadly, we enlisted SkyBound Marketing to make the Comet Research Group and our work more accessible. Over four weeks SkyBound established a new logo and brand standard for CRG, created additional messaging to help us reach beyond our typical circle of scientists and data geeks, and built for us a new website and social media pages so that we can share our work more broadly and better facilitate public dialog about our findings. Please take a look around the site. We hope you like what you see!